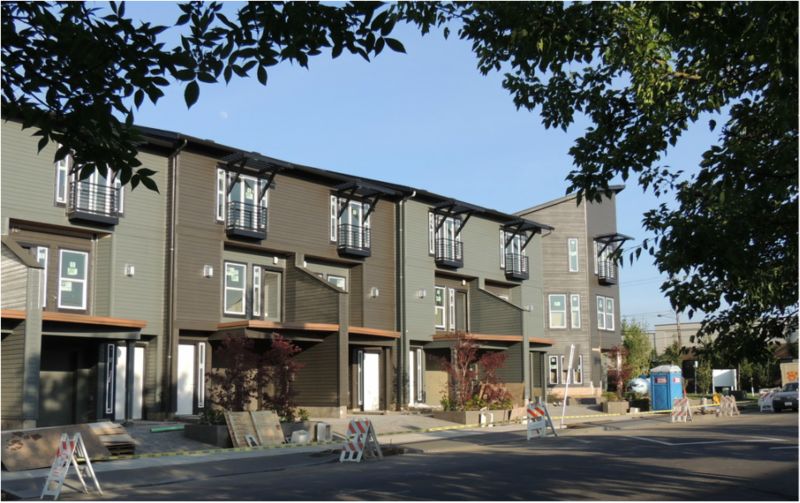 Located at the corner of NE Ainsworth Street and NE Grand Avenue in the Woodlawn neighborhood of Portland, OR, the Ainsworth Grand Terrace project is a rowhouse development containing 10 three-story units. Each unit contains two bedrooms on the top floor with a widow walk off the master bedroom. Living spaces make up the second floor which spill out onto large outdoor decks.